Pimp Your PHP App With Flex â€¦ And Win! Our latest Adobe-sponsored giveaway is live, and up for grabs this time are copies of Flex Builder 3. Just read our brand new article, Pimp Your PHP App With Flex – then take the quiz to enter the draw! Youâ€™ve got 7 days to take the quiz. 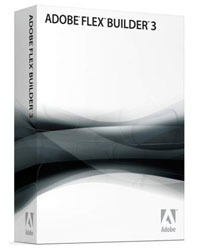 Enter your details and youâ€™ll be in the running to win one of three copies of Adobe Flex Builder 3. It has excellent integration with the Adobe Creative Suite — use Illustrator, Fireworks, Photoshop or Flash to create your app’s visual appearance, and import it into Flex Builder in no time flat! For more information on the features, visit the Flex Builder product page. A huge thank you to Adobe for making this prize available. You have until 6pm on May 6th US Pacific time (or San Francisco time) to enter. The winners will be contacted and then announced on the 7th of May, so keep an eye out in the forums and blogs for the announcement! As an extra bonus, completing the quiz will also unlock an installer for the Tour de Flex application, which is a great learning tool containing over 200 Flex samples that you can run, each with source code, links to documentation, and more. Youâ€™ve got to be in it to win it, as they say â€” and luckily there are 3 chances to win this time!